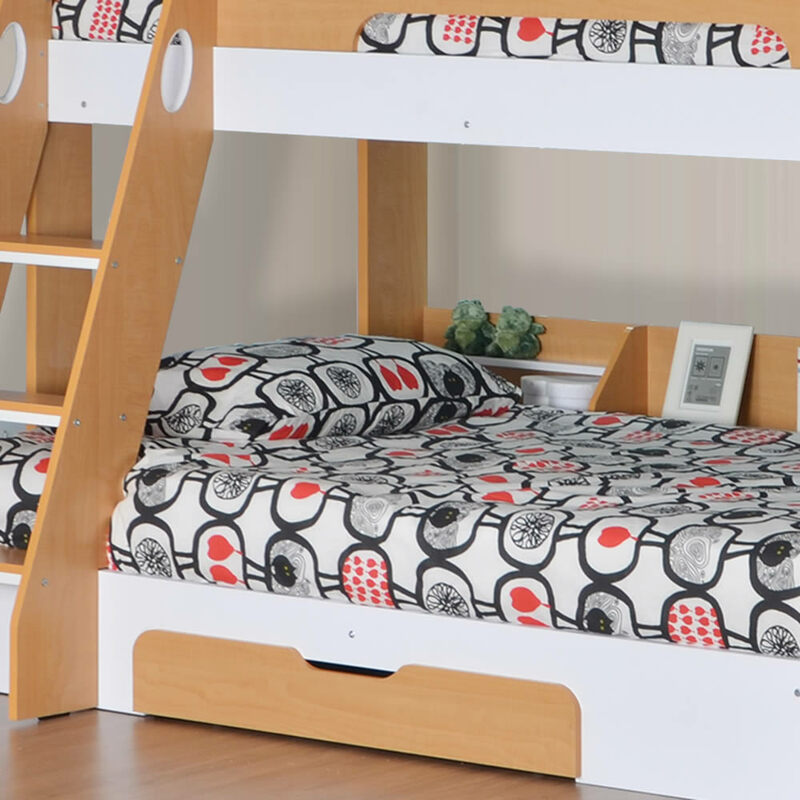 The Flair Furnishings Flick triple bunk bed in a white finish offers a UK single top bunk and UK small double bottom bunk with built in shelving and under bed storage. 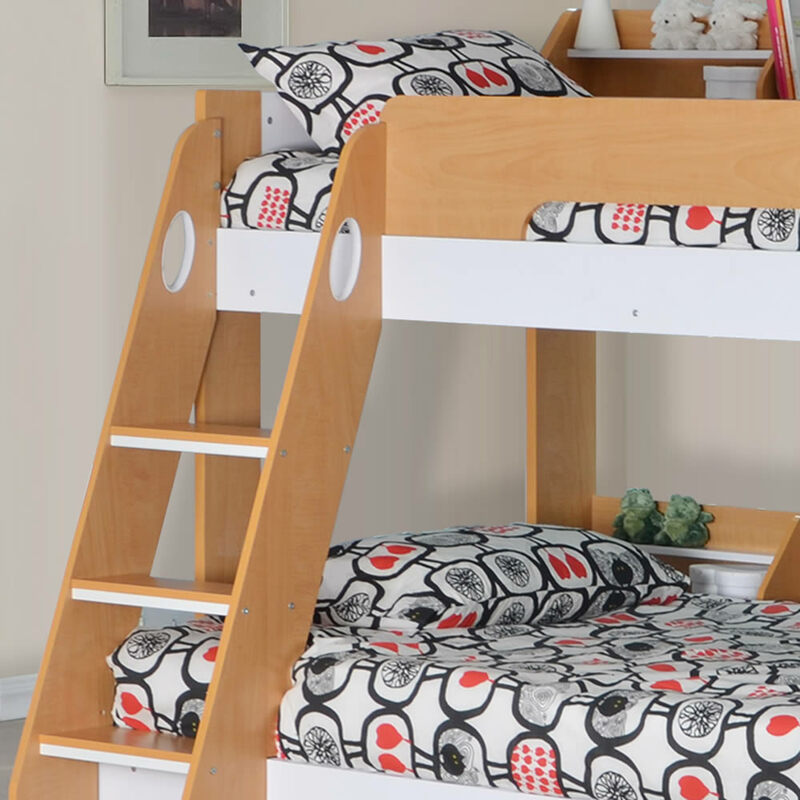 For access to the top bunk bed the sturdy slanted three step ladder has deep steps and oval cut out hand holds positioned towards the top of the ladder. 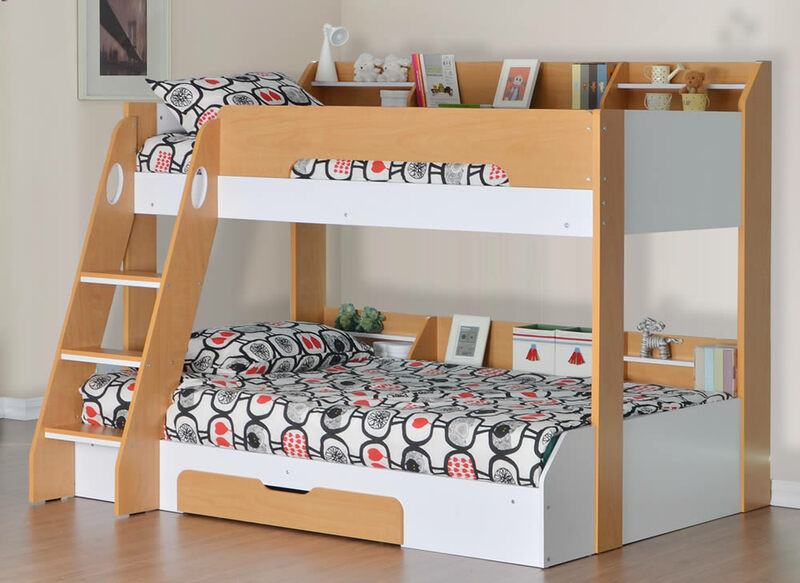 The larger sized small double bottom bed is offset outwards from the upper bunk creating head clearance giving extra bedroom seating for relaxing or whilst getting dressed. 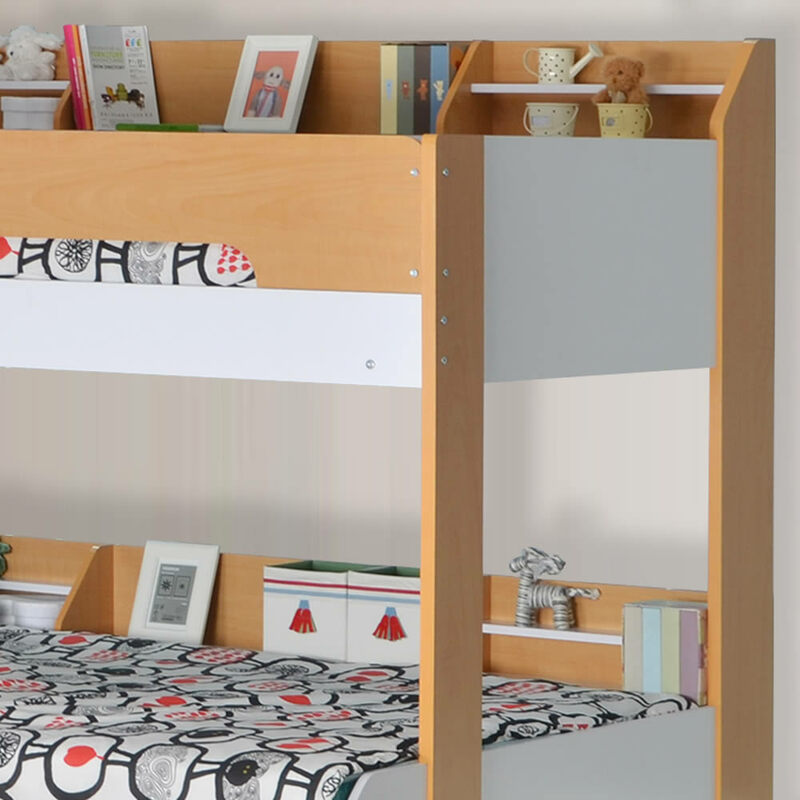 The bottom bunk base features a built in pull out under bed storage drawer with a maple effect handle free design drawer front. 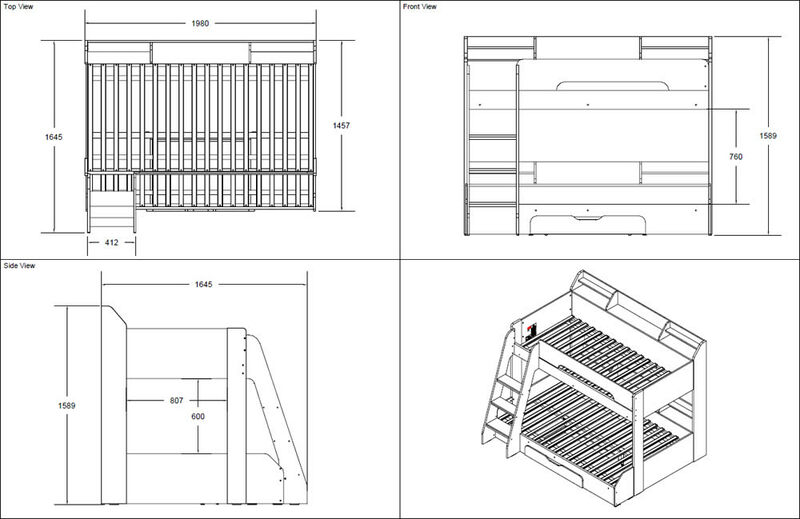 For increased mattress airflow both bunk beds have slatted bases assisting in a better nights sleep.